Yajaira is a PhD student in the department of Anthropology, with emphasis on Mesoamerican Archaeology. Her work has been focused on the coast of Chiapas and the Lower Central America. 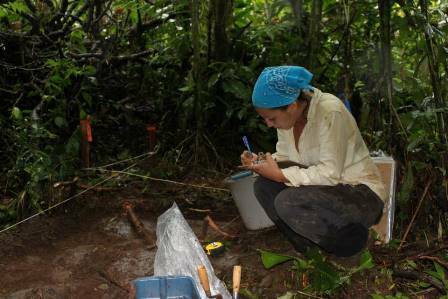 She has conducted archaeological fieldwork in Mexico, Costa Rica and Panama. Her general interests include the emergence of complex societies, the establishment of interregional trade networks, domestic economies, social inequality and household archaeology. For her master's Yajaira studied Late Postclassic materials from La Libertad, in Soconusco, Chiapas, Mexico. Her project employed GIS applications to archaeological materials to understand the distribution of functional and typological assemblages that could shed light into the differential use of space. Her doctoral research focuses on the dynamics of power in complex societies of Costa Rica, and the role of interregional exchange in the construction of economic and political inequality.